Nordic Textile Art has a strong partner in Textilmuseet i Borås (the Textile Museum in Borås, Sweden) who with its new art lounge is building an international arena for textile art. Nordic Textile Art is part of the reference group for Nordic contemporary textile art. 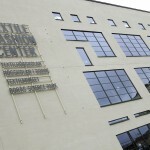 The 2012 Nordic Textile meeting in the city of Borås was accomplished in cooperation with the Textile Museum. The Textile Museum is Sweden’s leading museum devoted to textiles, housed in a nineteenth century cotton mill in Borås. In this genuine and industrial environment the museum exhibits textiles in every form. The machine hall displays one of Europe’s largest collections of textile machinery still in operation. In addition to the permanent exhibition "Wardrobe 1900" the Textile Museum produces changing exhibitions which include our textile heritage, textile art, fashion and design. Rydal Design Center. Together with the Rydal Design Center, NTA arranged the workshop Massive Textile Surround System in Rydal in June 2012 at the Rydal Museum. In 2013 The Artists Collective Workshop – Textile Print Malmö, was commisioned by Region Skåne to carry out a pilot study called Network Development Textile Art. The assignment was conducted in cooperation with NTA. In 2012 The Nordic textile meeting in the Øresund-region was held as a cooperation between NTA, KKV-Textile Print Malmö and the network Textile Art in Skåne. The workshop Textile autumn dinner was held at KKV-Textile Print in Malmö. Between May and August 2013 Malmö focused on the Nordic contemporary art in the artistic manifestation Malmö Nordic 2013. Within Malmö Nordic KKV Textil Print arranged the installation Kärlekar (Love games) at Form Design Center with 46 artists participating, 27 of them members of NTA. 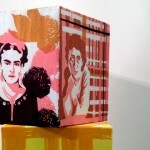 KKV-Textiltryck Malmö, www.textiltryckmalmo, is a platform for textile art in the south of Sweden and has a well equipped workshop for textile printing and studio resources enabling work with larger objects and commissions. KKV-Textile Print constitutes the base for Textile Art in Skåne, a regional network for artists using textile materials, textile techniques or textile expressions in their art.